Make sure your package doesn't end up in pieces. 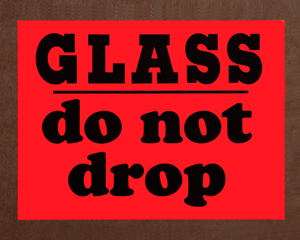 Easily mark your boxes so everyone knows to give special care to fragile glass during shipping and handling. 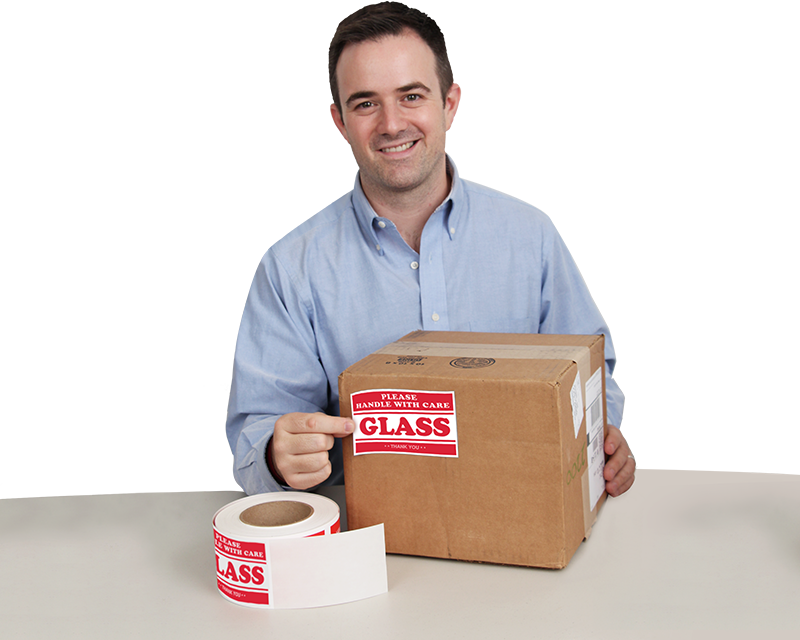 • Labels use an aggressive adhesive, specially formulated for corrugated cartons, packing envelopes, shrink wrap, and plastic or steel drums. • Glass shipping labels are sold on rolls of 500. • Browse our designs below to find your best option. Available in standard, glossy paper, and fluorescent paper. 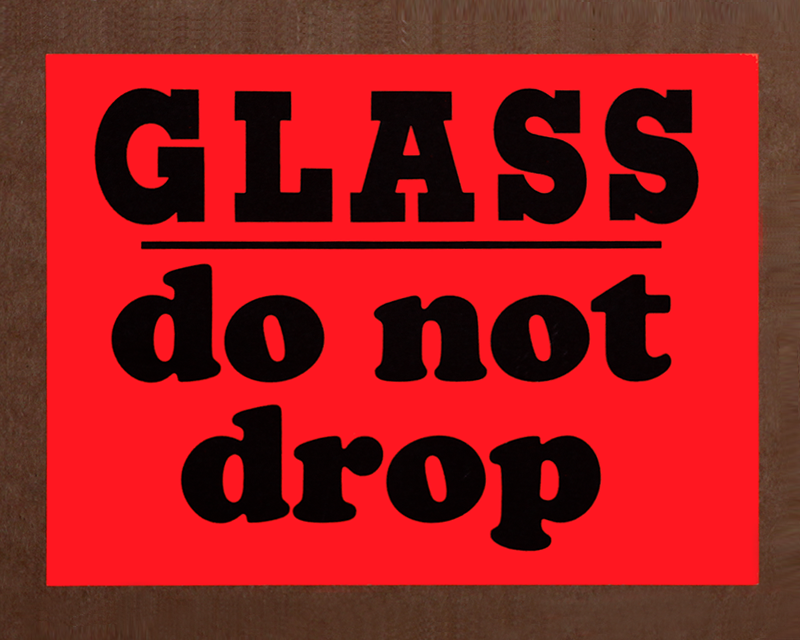 Protect fragile shipments with a handy device that shows if your package was dropped in transit.